Honors colleges and programs are complex. If you think about it, how could they not be? Take a (generally) large public research university with many thousands of students, sprawling campuses, hundreds of professors, and the huge football stadium somewhere close at hand–and then create an honors program, or even a college within a college, a hybrid for high achievers who might have gone elsewhere. The third book will be the best, and I hope will do justice to the complexity of honors education. But beware: the new book will somewhat complicated itself. A big reason involves a prospective student who has received an acceptance letter from the prestigious first-choice private college or public elite–but the need-based aid falls short. The “safe” public university, typically in-state or nearby, now receive more serious attention. It is at this point that the honors program or college can incline a student one way or the other. It is obvious that prestige often plays a large role when it comes to first and second choices of a college. Now with the need-based aid falling short, the cost of prestige has become a problem for the prospective student. If the safe school does not have the same prestige, then what exactly does it have that would is most important to the student, prestige now set aside? Here is the time that parents and students look at the nuts and bolts. Of course cost is still a huge factor. I will have a much-improved section on merit scholarships at each honors program. How about small classes, the types of classes, the range of honors classes across disciplines? The data I have this time around is far better than I was able to receive for previous editions; the ratings will be much more precise for class size, type, and range. But this is the main reason the new book will be somewhat complicated itself. In order to define these types of classes, there are additional categories: Number of Honors Sections; Honors Sections in Key Disciplines (15); Level of Enrollment–the extent to which honors students remain active in the programs; Honors-only class sizes, and the percentage of these actually taken; mixed class sizes, with the same information about the percentage of students; and contract sections, also with the percentage. How about honors housing? Many prestigious private colleges have residence facilities that are outstanding. Now I will report not only the amenities for honors housing but also the availability of that housing. The rating will now show the reader the ratio of honors dorm space to the number of first- and second-year students in the program. Did I say ratio? Yes, and some of the ratings can veer into wonkish territory. So…please be patient with the details, for they are where the decisions are made. The student who loves and thrives in small classes needs that detail, and the additional information about mixed and contract classes. The student who wants honors seminars and dozens of honors classes in his or her discipline, will focus on those details; the student who doesn’t have time for seminars will want the straight-from-the shoulder program. And the students who not only desire high-quality dorms but actually want to know if there is space in those dorms, will focus on that detail. 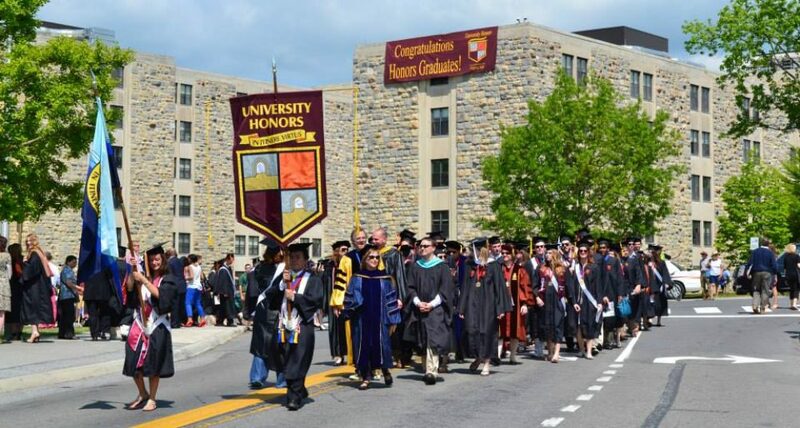 While the idea that an honors program “offers the benefits of the liberal arts experience along with the advantages of a major public research university” is generally true, the ways in which honors programs try to meet this goal vary greatly. The new book will be the best effort yet to light up the ways honors works in public institutions.